This page will assist you in identification of your EECO Elevator Control Valve. 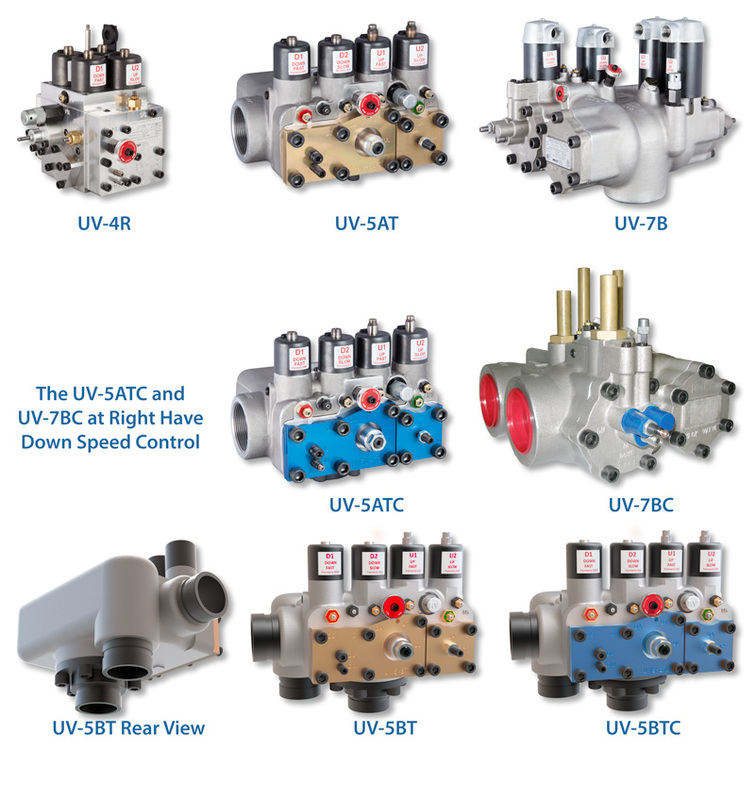 The images below represent the currently available EECO Control Valves. Specifically, note the arrangement of the coils and the shape of the valve body. On the UV-5AT valve notice the color of the faceplate. On the UV-7BC valve, the blue painted flange indicates down speed control. Please refer to the image at left. 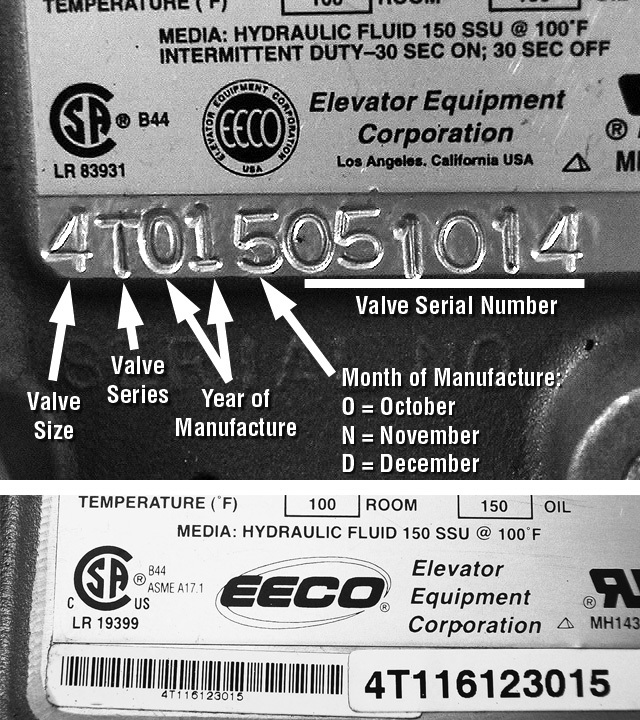 This image shows a typical EECO Control Valve Serial Number. It contains information about the valve size, valve series, the date of manufacture and the individual valve sequential number. The Valve Size can be one or two digits. If it is two digits, that signifies different sizes for up and down. Valve Series - This is a letter and corresponds to changes in the Valve Body. 1-9 Correspond to Jan. through Sep. The Letter "O" Corresponds to Oct. The Letter "N" Corresponds to Nov. The Letter "D" Corresponds to Dec. In the early 2000s, EECO changed the size designation for our control valves. The chart below shows the old and new designation. If you'd like more information on EECO Elevator Control Valves including troubleshooting, valve adjustment, or other information, click on the buttons below corresponding to the valve. If you'd like more information on EECO Valve Parts, click on the buttons below corresponding to the valve. If you'd like more information on EECO Valve Accessories, click on the buttons below corresponding to the valve.